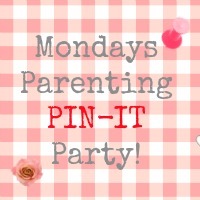 Good morning lovely pinners, it is time for Monday’s Parenting Pin It Party. Do link up your posts and we will share them for you. This week’s party hostess is the lovely Otilia from Romanian Mum so pop on over and see who she has chosen as her featured pinners from last weeks lovely lot. Okay, I found out why I couldn’t access your site – my Avast antivirus was blocking it! For some reason it detected some kind of URL script that was bad, but I couldn’t tell you if it’s correct or not. Getting around it is easy enough so let me know if anyone else has this issue. Eep! I hope I wasn’t linking anywhere too dodgy! Have just found a rather spammy site has ripped off loads of my photos so wonder if it might be that?